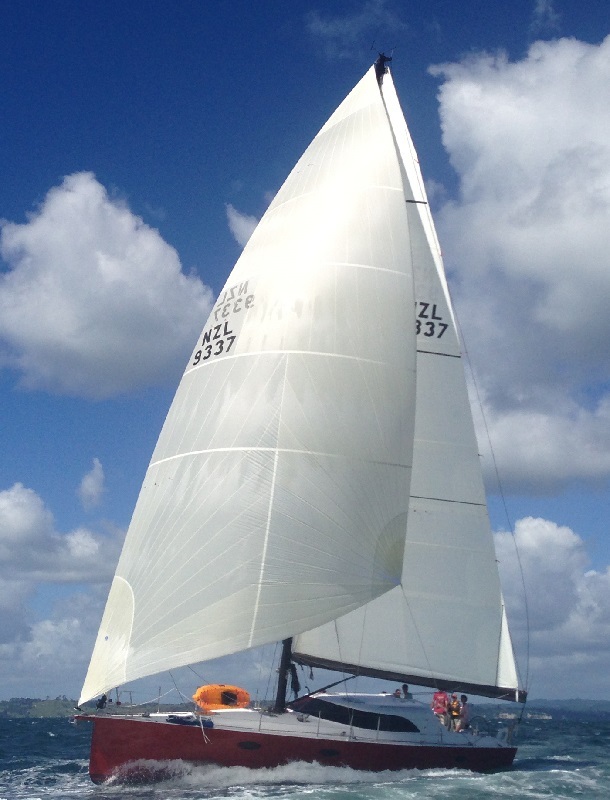 Elliott 1550 Tourers are proven performance cruiser/racers. Gem, showcased on this page, is currently for sale. 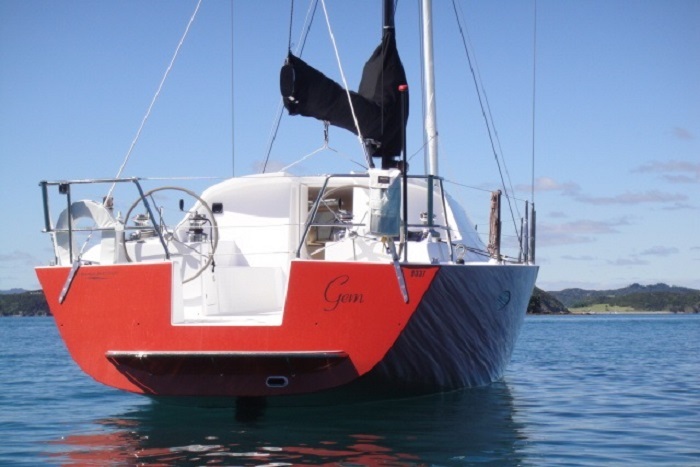 We invite you to contact us to view Gem or discuss building another beautiful yacht like her. 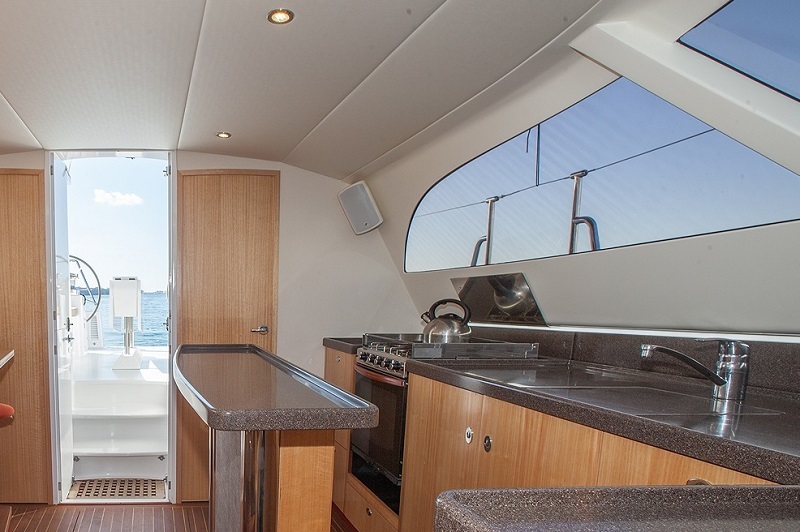 Gem's main saloon and spacious, well-appointed galley are in the raised pilothouse area. 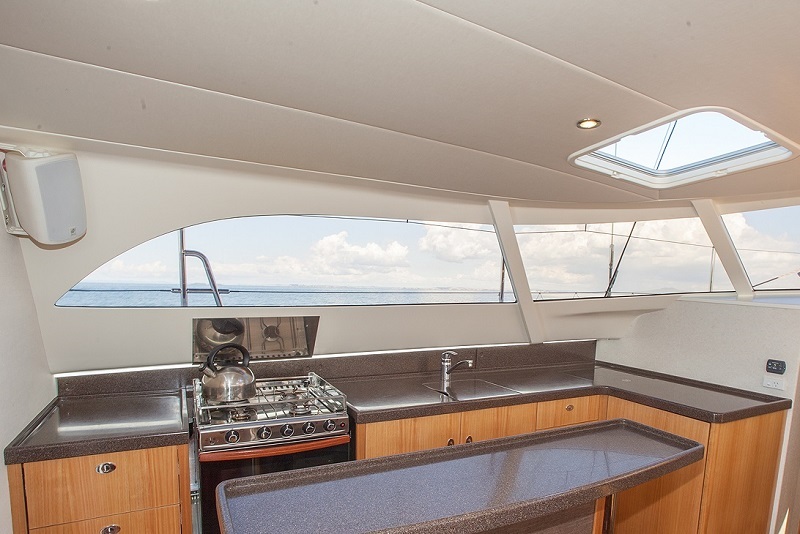 Working in the galley is a joy with an island bench and the expansive views through the wrap-around windscreen – no more being stuck down below cooking! 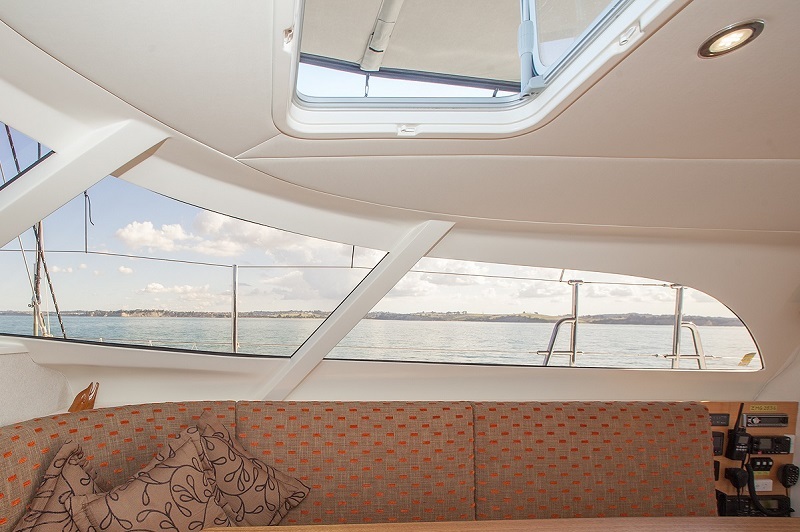 This is a boat for all seasons, whether sitting at the 8-seater saloon table looking cosily out at the weather, or relaxing over a meal outdoors sheltered from the hot sun under the awning. Serious racers will also appreciate the outdoor table being removable. 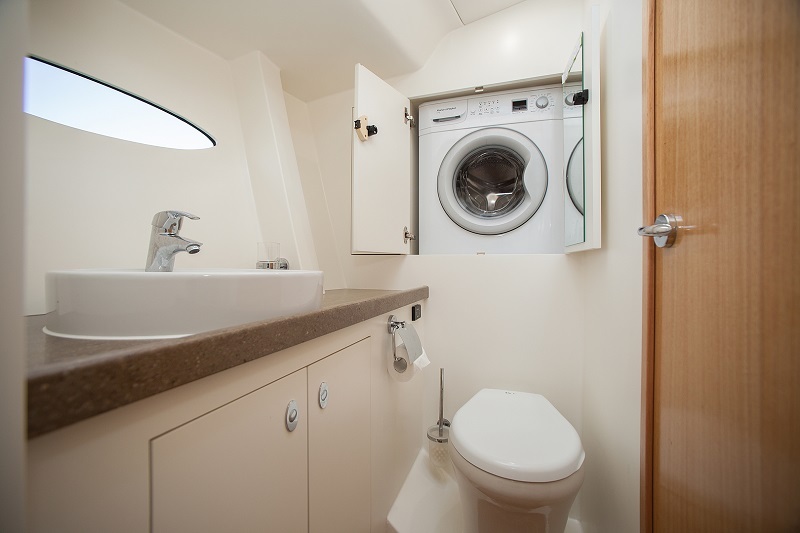 She has a 4-cabin layout with master cabin forward, twin-berth guest to starboard (1 single and 1 small double), head (electric), separate shower and 6kg Fisher & Paykel washing machine to port. 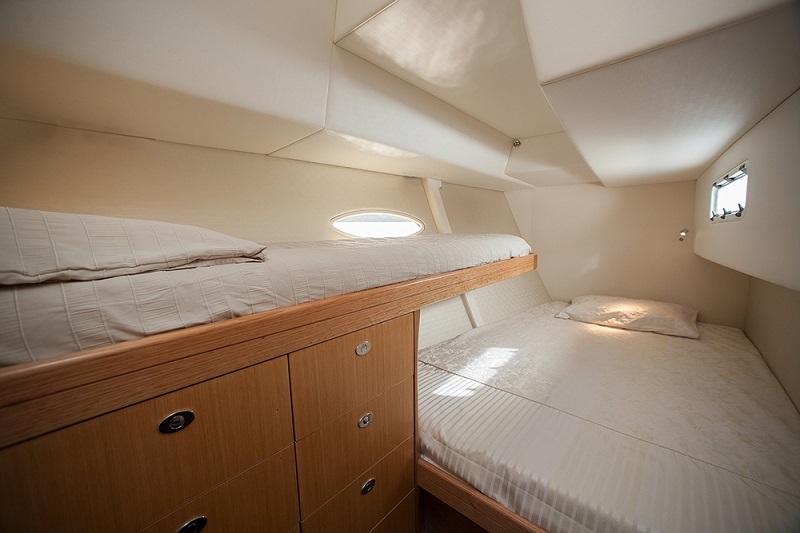 Aft to starboard is a twin-berth guest cabin (again 1 single and 1 double), aft to port is a fourth cabin with a double bunk and manual toilet. 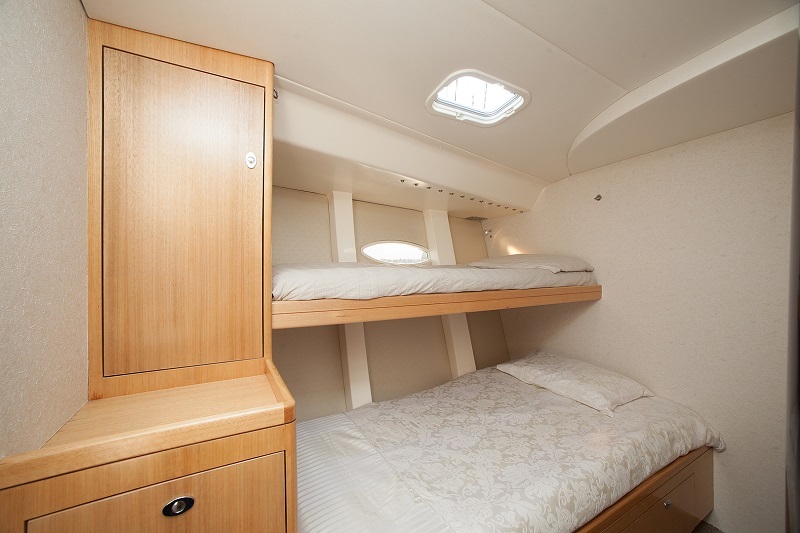 Scroll down for more photos showing her stunning interior. Carbon mast and boom with lazy jack setup. 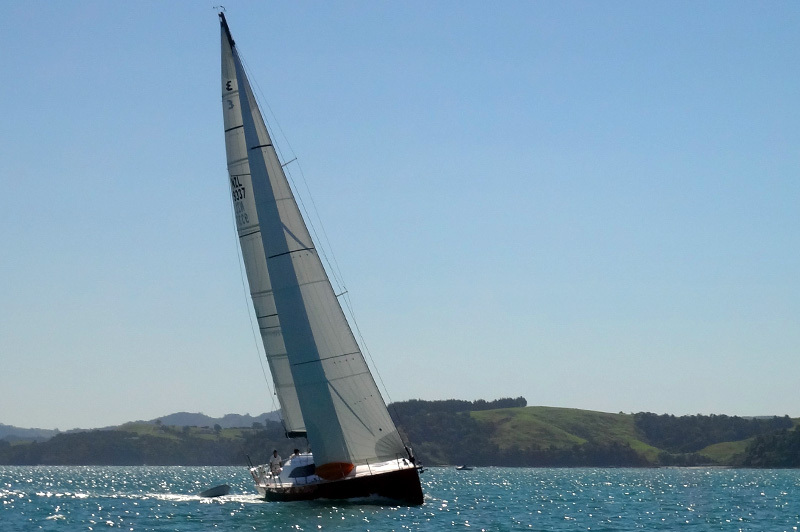 North Sails – full battened main, genoa, code 2 on single line furler, trysail, storm jib and staysail. 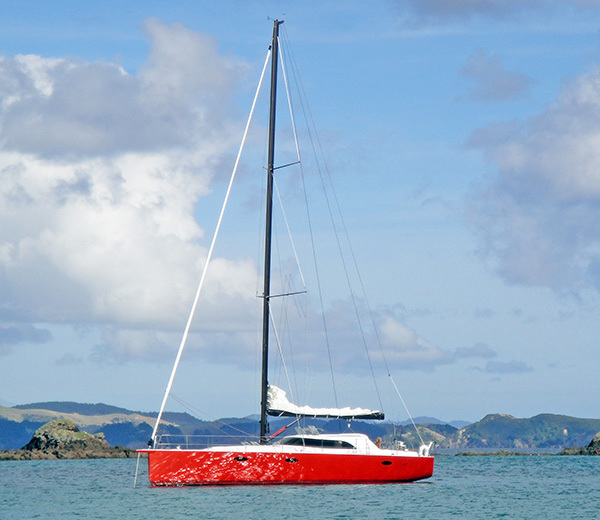 As custom boat builders we are capable of building to any design or concept you have. please contact us to discuss options and/or view Gem.